The impact disdrometer collects observations of the drop size spectra of rainfall. The sensor transforms the mechanical impact of each drop into an electrical pulse. With calibration, the size of each pulse is interpreted as the diameter of the observed drop. ARM also deploys laser disdrometers (LDIS) and video disdrometers (VDIS). Data from all these instruments help improve the quantitative description of precipitation processes in climate models. Morrison H, M Kumjian, C Martinkus, O Prat, and M van Lier-Walqui. 2019. " A general -moment normalization method for deriving rain drop size distribution scaling relationships ." Journal of Applied Meteorology and Climatology, 58(2), 10.1175/JAMC-D-18-0060.1. Louf V, A Protat, R Warren, S Collis, D Wolff, S Raunyiar, C Jakob, and W Petersen. 2019. "An integrated approach to weather radar calibration and monitoring using ground clutter and satellite comparisons." Journal of Atmospheric and Oceanic Technology, 36(1), 10.1175/JTECH-D-18-0007.1. Han B, J Fan, A Varble, H Morrison, C Williams, B Chen, X Dong, S Giangrande, A Khain, E Mansell, J Milbrandt, J Shpund, and G Thompson. 2019. "Cloud-Resolving Model Intercomparison of an MC3E Squall Line Case: Part II. Stratiform Precipitation Properties." Journal of Geophysical Research: Atmospheres, 124(2), 10.1029/2018JD029596. Kumjian M, C Martinkus, O Prat, S Collis, M van Lier-Walqui, and H Morrison. 2018. 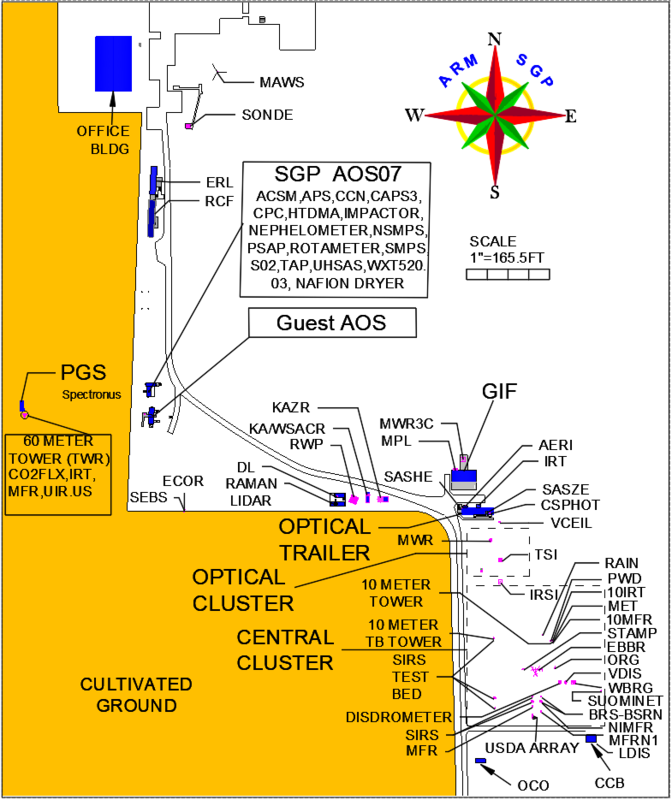 "A Moment-based Polarimetric Radar Forward Operator for Rain Microphysics." Journal of Applied Meteorology and Climatology, 58(1), 10.1175/JAMC-D-18-0121.1. Wang J, X Dong, and B Xi. 2018. "Investigation of Liquid Cloud Microphysical Properties of Deep Convective Systems: 2. Parameterization of Raindrop Size Distribution and its Application for Convective Rain Estimation." Journal of Geophysical Research: Atmospheres, , 10.1029/2018JD028727. ONLINE. Wang J, X Dong, and B Xi. 2018. "Investigation of Liquid Cloud Microphysical Properties of Deep Convective Systems: 2. Parameterization of Raindrop Size Distribution and its Application for Convective Rain Estimation." Journal of Geophysical Research: Atmospheres, 123(20), 10.1029/2018JD028727. Giangrande SE, T Toto, A Bansemer, MR Kumjian, S Mishra, and A Ryzkhov. 2016. "Insights into riming and aggregation processes as revealed by aircraft, radar, and disdrometer observations for a 27 April 2011 widespread precipitation event." Journal of Geophysical Research: Atmospheres, 121(10), 10.1002/2015jd024537. Bartholomew MJ. 2016. Impact Disdrometer Instrument Handbook. Ed. by Robert Stafford, DOE ARM Climate Research Facility. DOE/SC-ARM-TR-111. Jensen MP, WA Petersen, A Bansemer, N Bharadwaj, LD Carey, DJ Cecil, SM Collis, AD Del Genio, B Dolan, J Gerlach, SE Giangrande, A Heymsfield, G Heymsfield, P Kollias, TJ Lang, SW Nesbitt, A Neumann, M Poellot, SA Rutledge, M Schwaller, A Tokay, CR Williams, DB Wolff, S Xie, and EJ Zipser. 2015. "The Midlatitude Continental Convective Clouds Experiment (MC3E)." Bulletin of the American Meteorological Society, , 10.1175/bams-d-14-00228.1. ONLINE. Deng M, P Kollias, Z Feng, C Zhang, CN Long, H Kalesse, A Chandra, VV Kumar, and A Protat. 2014. "Stratiform and Convective Precipitation Observed by Multiple Radars during the DYNAMO/AMIE Experiment." Journal of Applied Meteorology and Climatology, 53(11), 10.1175/jamc-d-13-0311.1.